In 2009, the president of the United States of America, Barack Obama, announced that he was going to work hard towards a world without nuclear weapons. Of course he would say that, the United States has developed a whole new generation of weapons that are much more effective in torture and killing. Countries with these new weapons can only be threatened by nuclear weapons. Nuclear weapons are of course terrible weapons; however, they cannot be used without leaving evidence. That is why their use is restricted. There is another, unknown to public domain, category of weapons that leaves no evidence. These are weapons based on radio waves. Attacks with these weapons are invisible and can go through walls. 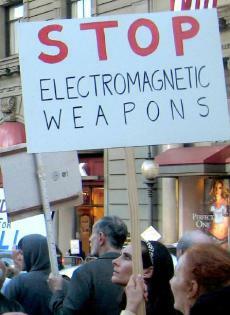 We are talking about electromagnetic weapons, also called electronic weapons. Examples include: microwave weapons, laser weapons, sound weapons, as well as equipment to read and influence the human mind. These weapons are widely used by secret services and the military. This happens all over the world, and due to their high-tech character, more commonly in our 'democratic West‘. These weapons are rarely mentioned by popular media, never have been acknowledged by any government, but have covertly been used against people like: whistleblowers, activists, politicians - to steal, to eliminate – for several decades. And in order to develop and perfect these weapons, random ordinary men, women and children are non consensually used as guinea pigs to test them. These are often horrible crimes against humanity, and our governments aren’t telling us anything about this. One of the most terrible implications of these weapons is that it is no longer possible to protect yourself, your children, your loved ones. You can no longer say: ‘stay in this room, then you will be safe’. The attackers look through the walls of your house, cook, burn, control your body, and read and manipulate your thoughts. Police are not equipped to do anything and can’t help you, no one can help you. Click here if you want to leave a comment. There is a group of people on whom these weapons are tested in order to further develop their capabilities and effectiveness. They are often random, innocent civilians, and come from all over the world. They call themselves Targeted Individuals and despite usually being kept totally isolated by their attackers, in recent years, they found each other via the internet. They are looking for recognition of the crimes committed against them. The experiments that are performed on them are illegal and often horrific, many are suffering and many die. One could argue that these are war crimes against citizens. These are inhumane and degrading crimes against mankind, a disgrace to the human race! The development of weapons based on radio waves started after the Second World War. The Nazis were already developing them and the Russians and the Americans followed. One of the first notable results was the LIDA machine (1950). 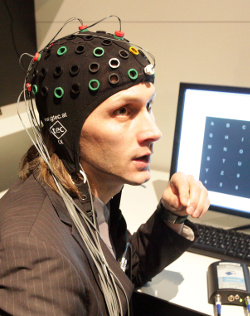 By focusing radio waves on the brain you can almost instantly send someone to sleep. The same device can be used to keep people from their sleep as well. In the 1970s, the Americans discovered that their Moscow Embassy was irradiated with microwaves. This was not made public but was the beginning of the arms race of weapons based on radio waves. Everyone knows the laser pen or laser pointer. Not only pilots were shone with it, also footballer Wesley Sneijder complained about he was being blinded when taking a free kick. A kitchen microwave cooks meat with radio waves, you can easily imagine what a weapon based on it can do to the human body. A kidney stone pulverizer can from a distance crush a stone in the human body. All this is done with invisible radio waves. More recent there have been developments in which brain signals are used to control prostheses, for example, a hand. People who are attacked with such weapons initially end up in a kind of shock. They know that there are all kinds of things that don't add up but do not know what, as it's not something they have learned about or something that is in the newspapers. Family and friends will say they have to go to a family doctor, psycholog or psychiatrist. 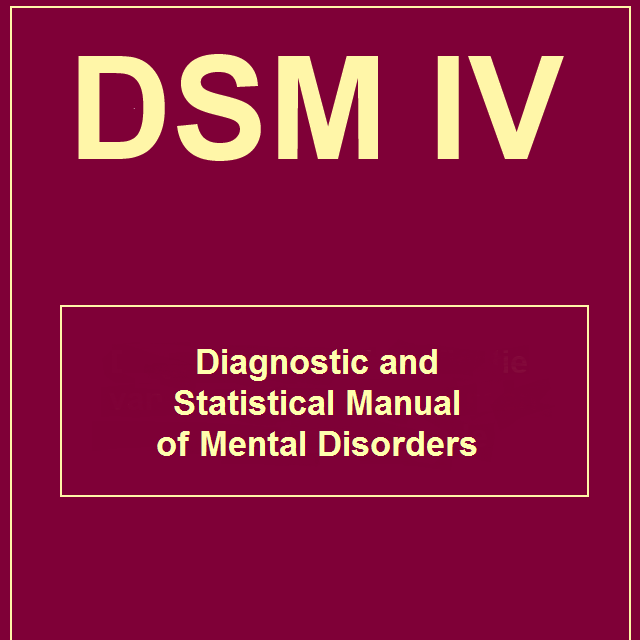 The symptoms that they show are similar to known physical symptoms and mental illness. That's no coincidence: this is intentionally done so that the victims will not be able to find anybody that will listen to them when they claim that they are being attacked with these weapons. To get rid of this torture, victims commit suicide or accept the diagnosis of a psychiatrist, often paranoid schizophrenia. They end up in Psychiatric care where there are further experiments made on them. A small group is able to understand what is happening and to offer resistance, and although they are often called crazy by those around them, they keep insisting they are being preyed upon. The arms industry, the military, in combination with the secret services, develop weapons and torture methodology, which need to be tested on. No one however, wants to be a guinea pig of this kind of experiments as they are very dangerous. Think of a microwave weapon, with which you cook the human body, knowing for certain that body functions will eventually fail. Imagine a weapon with which you can stop someone’s heart. In the course of history, these organizations took it for granted that they could do this to unaware people. But that is all illegal of course, and so it is done secretly. The victims of these crimes go to the police, write letters to their government or, or the Mayor of their city, they contact established human rights organizations such as: Amnesty International, Human Rights Watch, United Nations or the International Criminal Court. Comments are invariably negative. They are knocking on doors everywhere but nobody is really listening. They often leave their stories behind in the hope that something will happen. But they never hear anything back. The crimes that are committed against them are among the most serious in the human history. 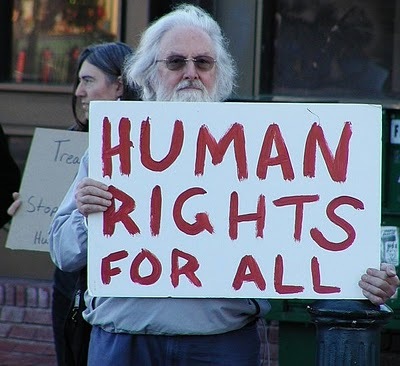 And, while all their human rights are being violated, the organizations where you would expect help from give no assistance. The development of weapons based on radio waves turned out to be a great challenge. The radar, after some adjustments was able to send focused energy, and shortly after the microwave was invented. The first weapons were primitive but already very effective. New developments lead to laser weapons, and later this was all grouped under the heading of 'Directed Energy Weapons’. Many of these are classified as non-lethal weapons but in most cases, this is pure nonsense. Pointing a powerful laser weapon at the human body will have a similar result as a bullet being fired at it. Both can be very damaging, both can be deadly. Read also: Bioeffects of Selected Non-Lethal Weapons declassified US Army Intelligence document, 1998. How do you call it, when you suddenly feel a strange pain in your arm, and then, quite suddenly, it seems to go away? You come back home, and its starts again. If you go and sit somewhere else, it disappears, but very soon, it comes back and burns you, again. It may take sometime before you realize the fact that you are being attacked with radiation that passes through a wall. And, from that moment on, it is called torture. The pain depends on the intensity and duration. In many cases, the torture follows you wherever you go. Some victims describe the feeling of being cooked alive, or burned alive. Another form of torture is making people hearing voices. The first successful experiments with this started in 1974! (Voice-to-skull, V2K, microwave hearing). Often, these voices constantly belittle someone, aiming to drive them insane. The human body is extremely sensitive to electromagnetic radiation (radio waves). In addition, human body also sends out radiation. In other words, man is both: a bio-electromagnetic transmitter and a bio-electromagnetic receiver. For many years, research has been undertaken into the collection of signals from the brain (mind-reading), as well as, effective ways to send signals to the brain (mind-influencing). In the beginning, electrodes and implants were needed/might have been required, but new developments in science and technology made this unnecessary. Now, it is not only possible to read minds from a distance, but it is also possible to force thoughts into minds, which appear as if they were their own (this is different from hearing voices). There are projects that explore how you can make large groups of people think of the same thing, and, also, how to prevent groups of people thinking of certain things. Another project is to take over a human as a person (see also the movie Avatar). A device to read someone's mind is a weapon. After all, you attack this person; you attack not his body, but his mind. The same can be said of a device that forces thoughts into a brain without the victim knowing it. This not only is possible today, it is actually being done. A number of victims claim to be robbed of ideas, others claim to be blackmailed with their, now no longer secret, thoughts, or have obsessive thoughts that keep repeating, or strange dreams. Mind reading is used to torment you through feedback on your thoughts. Passers-by say things about you which only you can know about. The last thing you would expect to be private, your thoughts, is available to those that attack you, an incredibly terrible feeling. And those who do not realise and are guided by their thoughts, are actually no more than robots. As just can imagine, many victims have their thoughts about the 'bizarre' shooting incidents in which a disturbed person just carelessly kills people. - On 21 July 2009 NATO boss De Hoop Scheffer suddenly got a heart attack while visiting Belgium during the Belgian national holiday. - On July 26, 2009 the president of France fell to the ground while he was out running. We were told that his heart had beaten irregularly for a short period. - On September 3, 2009, Dutch Minister Verburg collapsed whilst speaking on a subject in the House of Representatives. - On September 14, 2010 Dutch swimming celebrity Erica Terpstra drove into a tree because of a huge coughing fit. - In 2010 Gerard Kemkers sent Dutch champion ice skater Sven Kramer to the wrong lane at the Olympic 10 km. 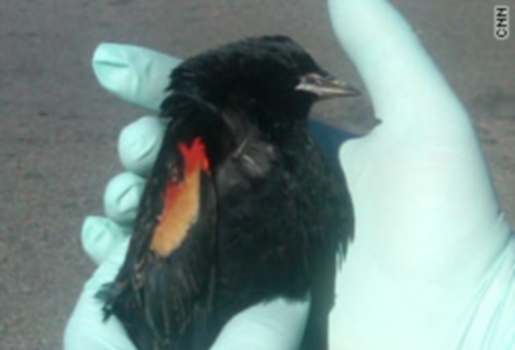 - In recent years there have been several posts about groups of birds that have fallen from the sky, about groups of whales that were totally off course, and groups of cows that suddenly died. Of course, it cannot be proven that all this was caused by electromagnetic weapons, but no one can say that this can not be done with these weapons. And that is the reason why these weapons must be banned. A knife leaves a stab wound, a gun leaves a bullet hole, in both cases there is perceptible damage to the body. This is no longer the case with electromagnetic weapons. We can make no distinction anymore between reality and what has been done. There are a number of physical effects that can occur; scratching, abdominal pain, need to urinate, urge to relief, diarrhoea, coughing, belching, farting, heart complaints, erectile dysfunction, sexual stimulation, headache, sudden confusion, sudden memory loss. Ways in which these weapons can be used to attack our brain are: mind reading, hearing voices, tinnitus symptoms, planting thoughts in your head with an inability to distinguish them from your own thoughts unless you are aware of this, dream manipulation. 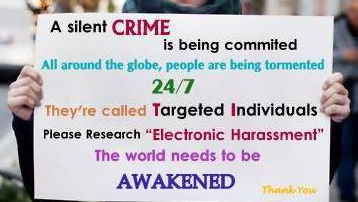 Electronic torture is attacking someone 24/7 with these weapons. At home and outdoors: the environment is the torture chamber. Above is only very limited information. 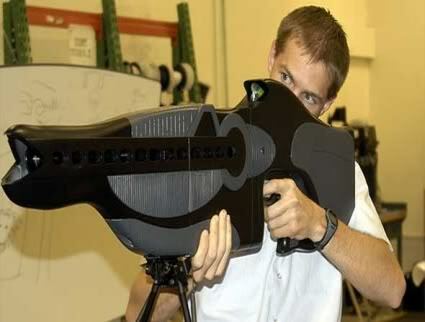 Weapons based on radio waves are now installed in airplanes and on warships. Smaller versions are being tested in prisons in the United States. Minds can be controlled from nearby equipment or cell towers. Sound weapons are used to move people away from certain areas. 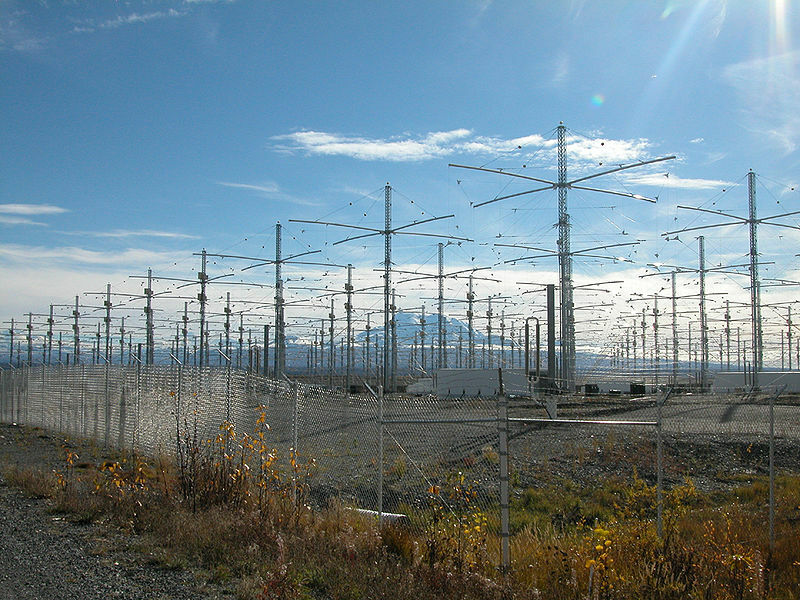 In addition, there are the antenna-fields, also called HAARP installations. They use the atmosphere around the Earth to send energy across to other points. It is said that these installations are used to influence the weather and cause earthquakes. 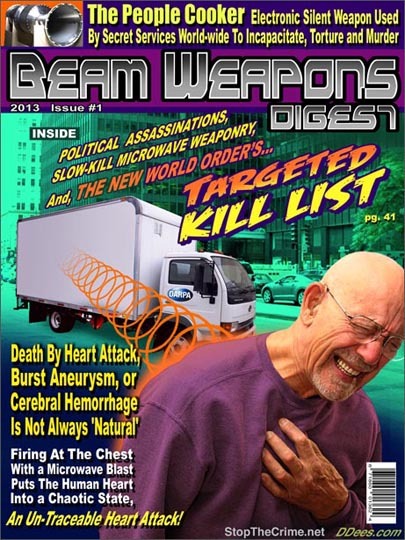 Below is the link to the press release by Institute of Science in Society published on 29 May 2007: Bio-electromagnetic Weapons: The ultimate weapon At the beginning of the article Harlan Girard says: "A weapon system that operates at the speed of light, that can kill, torture, enslave and escape detection." In addition to the countless websites and Web pages of victims there are now a number of organizations who are committed to disclosing these crimes and trying to support victims. Verein gegen den Missbrauch psychophysischer Waffen e.V. Thank you for reading and I hope this page supplements your knowledge. I also hope that you understand that this must be made public. If we don’t, then humanity-as-we-know-it will come to an end, the world as we know it today will no longer exist. 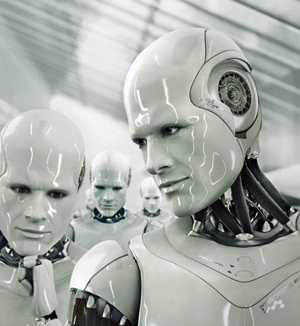 Everyone except the elite and some technicians, will be tied to the electronic chain. George Orwell wrote in his book 1984 about this thought policy. That's not science fiction anymore - we are already in this situation! I also hope that you have gained some insight in the practices of secret services and the military. Snowden’s revelations already showed that there are many cases where they act outside the law. But what you didn’t know is that they perform gruesome experiments, war crimes, against ordinary innocent civilians. This should stop immediately, be further investigated, the guilty brought to justice, and the victims compensated. Finally, I hope that I am contributing to a better understanding of the victims of these crimes. They can’t go anywhere. I ask you therefore to have compassion for their often unimaginable stories. The extent of their suffering is hard to explain if you are not a victim. More questions? 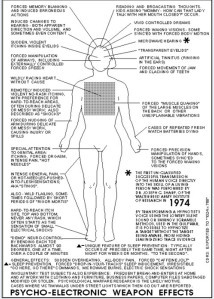 Read more on the Internet (directed energy weapons, active denial system, electronic harassment, microwave hearing, remote neural monitoring, synthetic telepathy, electronic torture, voice-to-skull, i.e.) or contact me. M: +31 6 4124 3030. Would you like to comment or be kept informed? Leave your comment below and/or your email address. This website does not use Google Analytics or other tracking software that can follow you on the internet. Copyright 2014 Peter Mooring All rights reserved.